At age 25, Toby Barker was elected to the Mississippi House of Representatives to represent District 102. At that time, he became the youngest legislator and first Millennial elected to the House. Now at 36, he serves as the 35th Mayor of Hattiesburg. Mayor Barker moved to Hattiesburg in 2000 to attend The University of Southern Mississippi. 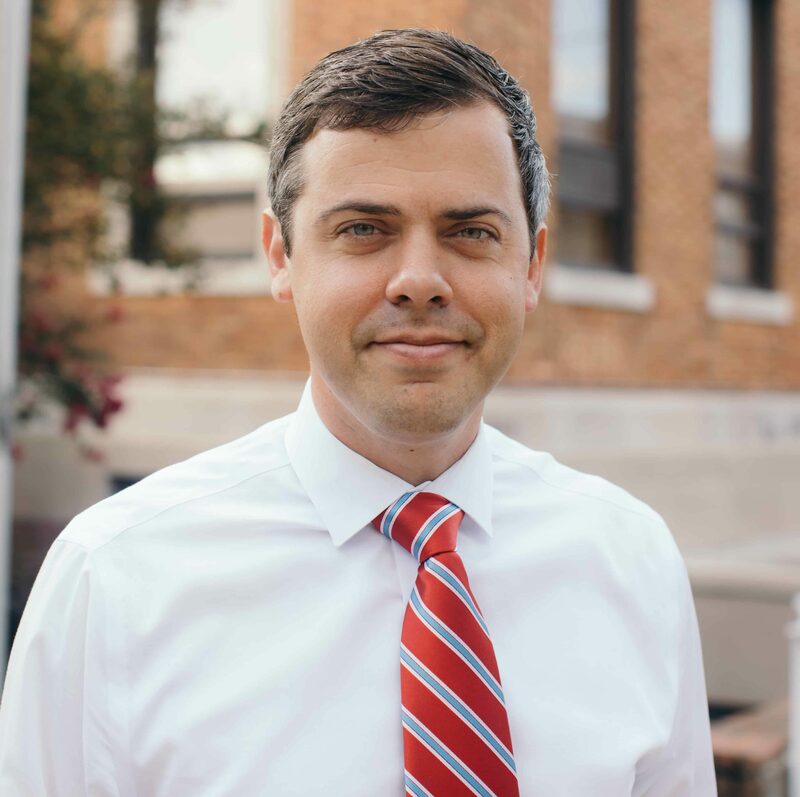 After earning a bachelor of arts degree in communications in 2004 and a master of science degree in economic development in 2006, he chose to make Hattiesburg his home. In 2015, he earned a master of healthcare leadership degree from Brown University. In addition to serving as an elected official, Mayor Barker is heavily involved in the Hattiesburg community. He is a Rotarian and Paul Harris Fellow affiliated with the Rotary Club of Hattiesburg-Sunrise. He also serves on the Hattiesburg Public School District Foundation Board and the Avenues Alliance. He lives in the historic Parkhaven neighborhood with Kate and their two children, Audra and Mack. They attend Ekklesia Church in Hattiesburg.